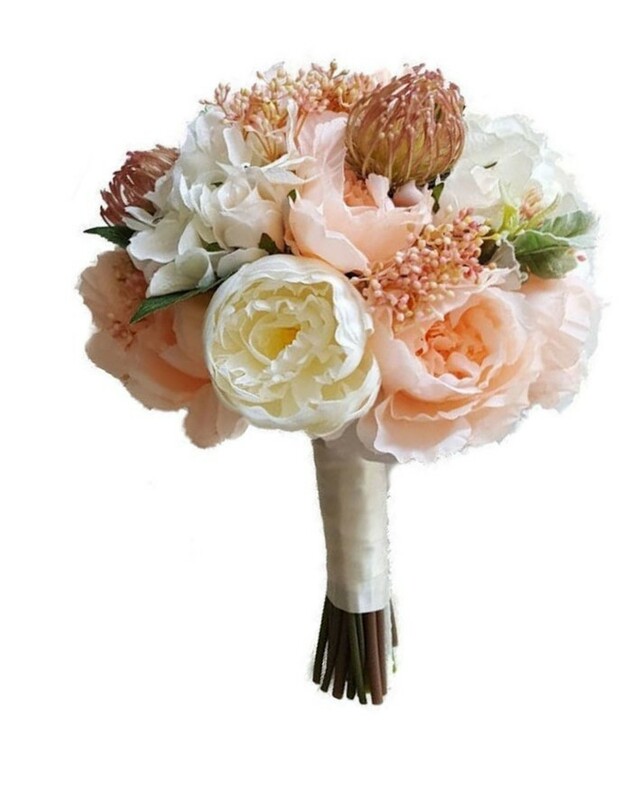 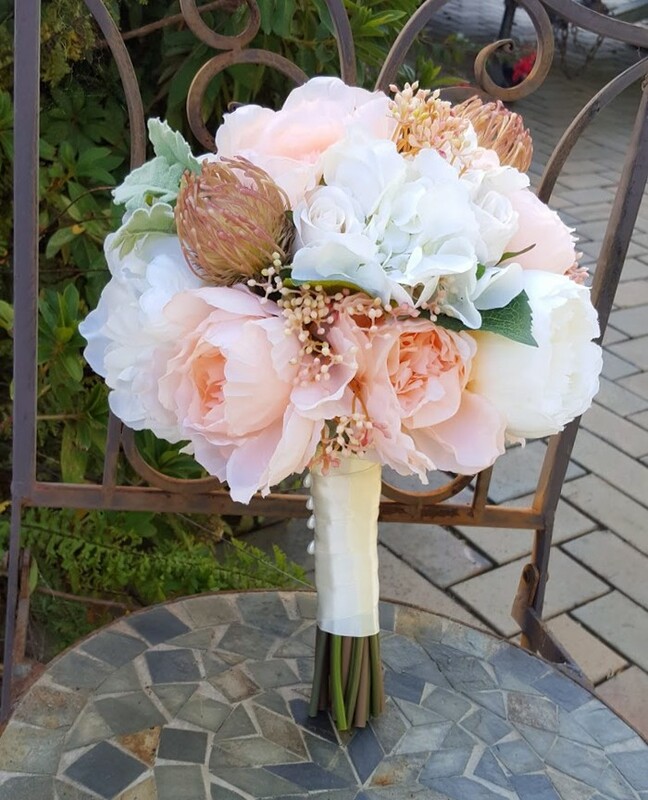 A gorgeous bouquet is made in a dome shaped, natural stem, posy style. 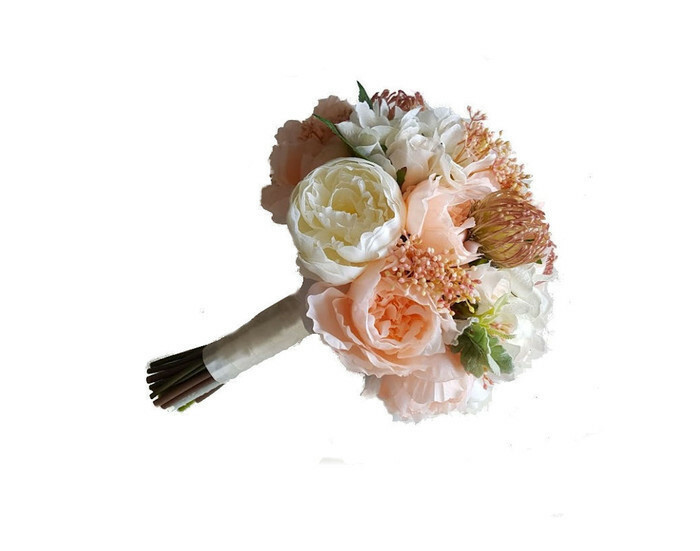 Only one in stock ready to ship. 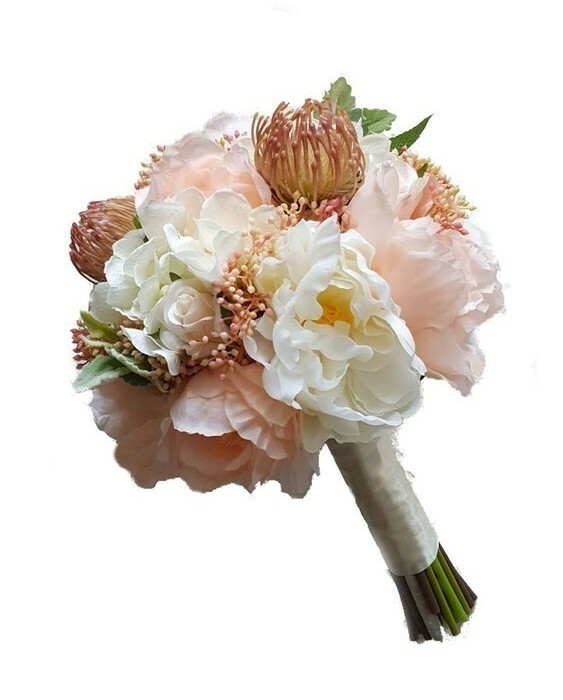 The bouquet is edged with dusty miller foliage, tied with cream satin ribbon and fastened with pearl pins. 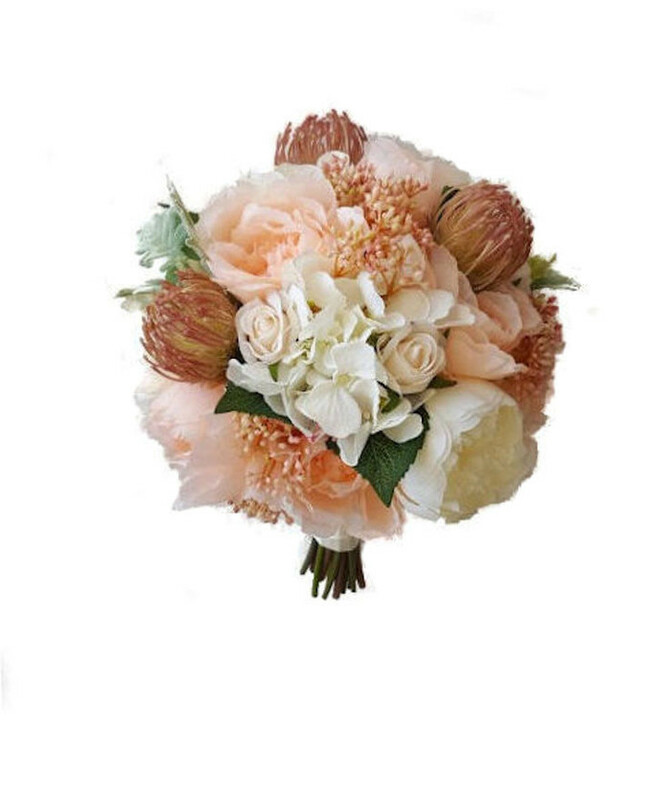 This bouquet measures approximately 34 centimetres high & 27 centimetres across and is ideal for a bride. 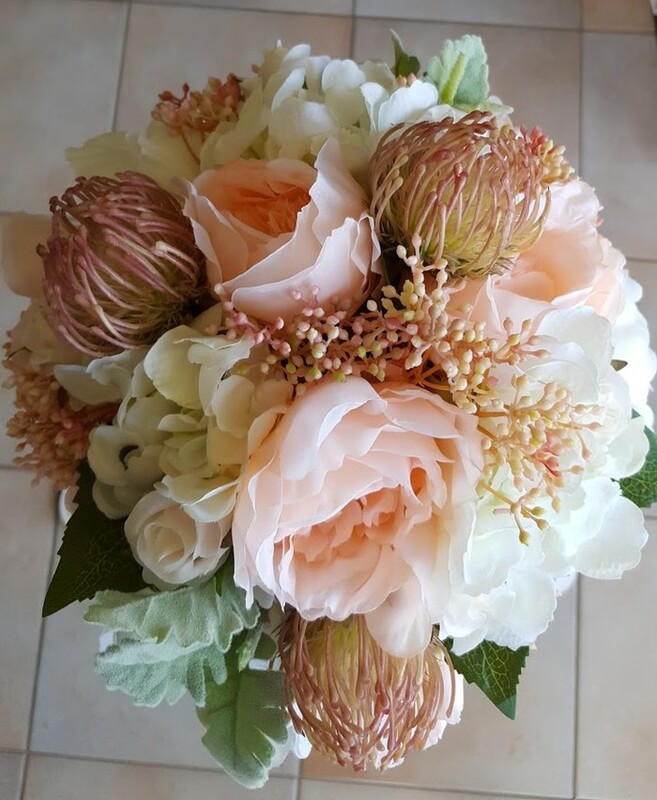 Matching Bridesmaid's bouquets are available - please contact us for price & time-frame.